Mass Effect Andromeda has really gone through the motions since it launched in March. Its lukewarm critical reception was only made worse when woes hit the development studio, with EA repurposing it as a support outlet. The future of Andromeda’s DLC and support lingered, as EA decided to shelve the franchise for the foreseeable future. And not even five months after launch, support for the game is almost ceasing entirely. 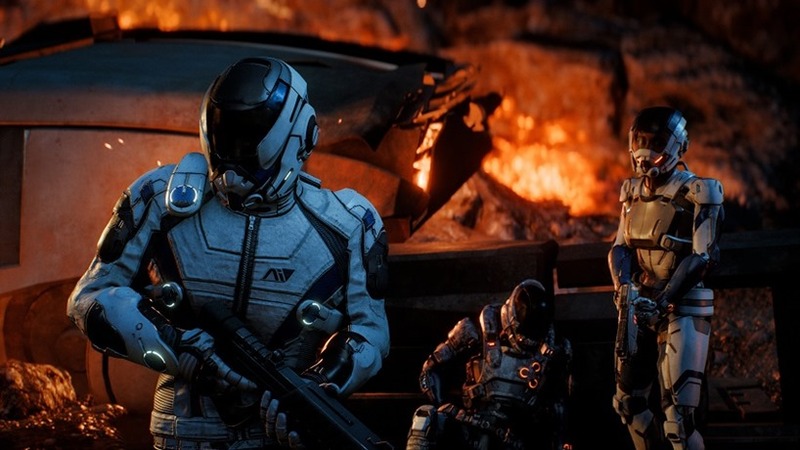 In a statement released yesterday, BioWare officially announced that single-player support for Andromeda had come to an end. The portion of the game will no longer be getting any patches, which so far have attempted to help both performance and a myriad of bugs that plagued the game since launch. It also means DLC for the game is dead – as no new acts or story arcs will be developed. A huge departure from the strategy taken with both Mass Effect 2 and 3. Multiplayer support will continue for the time being, as BioWare continues to address issues in the far less popular co-operative mode. BioWare is seemingly going to keep at it in a big way too, with new missions, gear and maps supposedly in the pipeline for the mode. Although specifics weren’t discussed, you can expect them soon – if you’re still into Andromeda’s mildly interesting take on horde mode. Still, it’s so sad to have watched this happen in such a short space of time. There’s no knowing what this ultimately means for Mass Effect as a franchise, but it’s clear that the long development on this new saga just hasn’t paid out for EA in the way they hoped. The franchise is going away for now – and who knows how long it will take (if ever) to resurface.